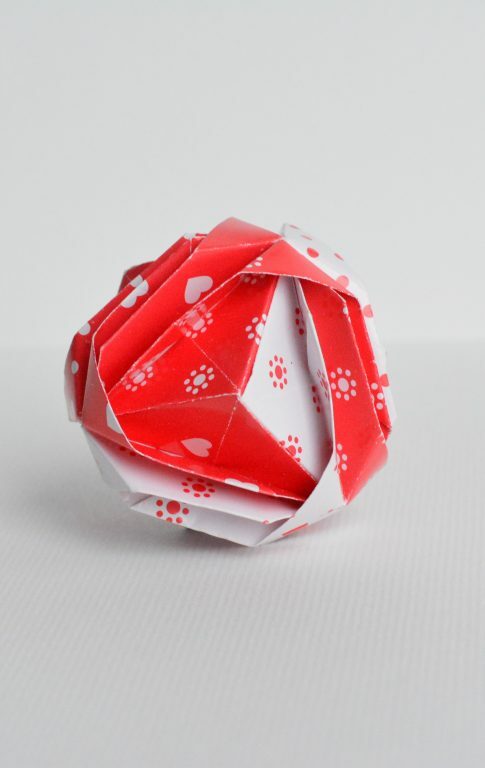 Every year I decide that one of my New Year Resolutions is to fold every day. I never made it past a month until this year. 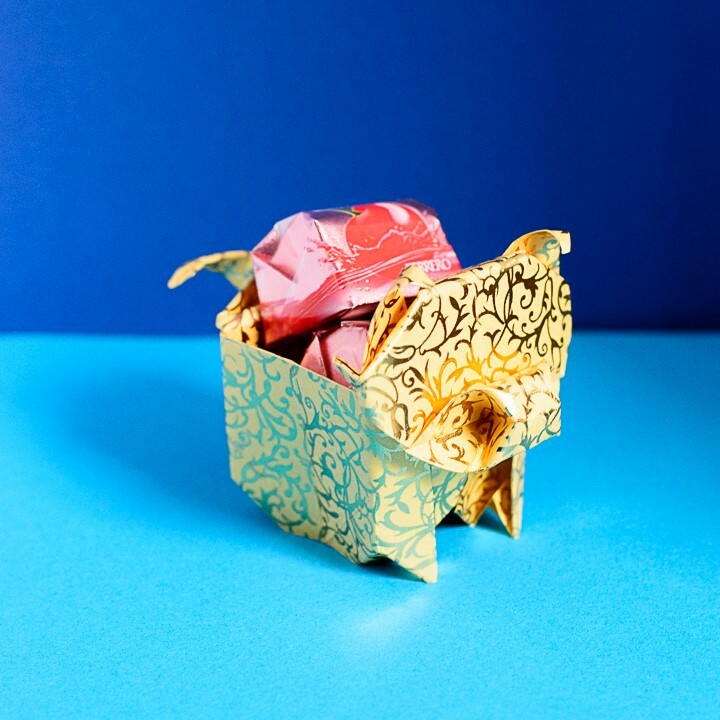 I have to thank r/origami and Instagram community for their support and love. Without it, I would have not made it this far. It was a bumpy road, I had some days when I didn’t fold and then have to get back in track, but overall, it was a pretty good month. 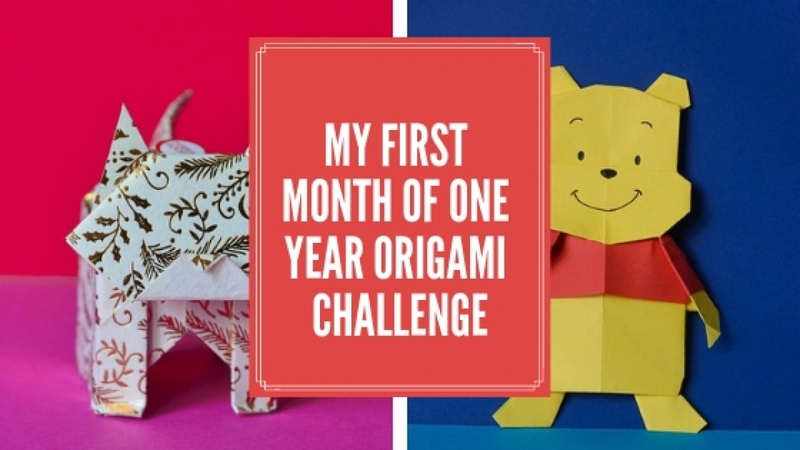 My advice if you want to do this challenge is to write down what you want to fold, post it online, be part of a community and have a lot of fun. 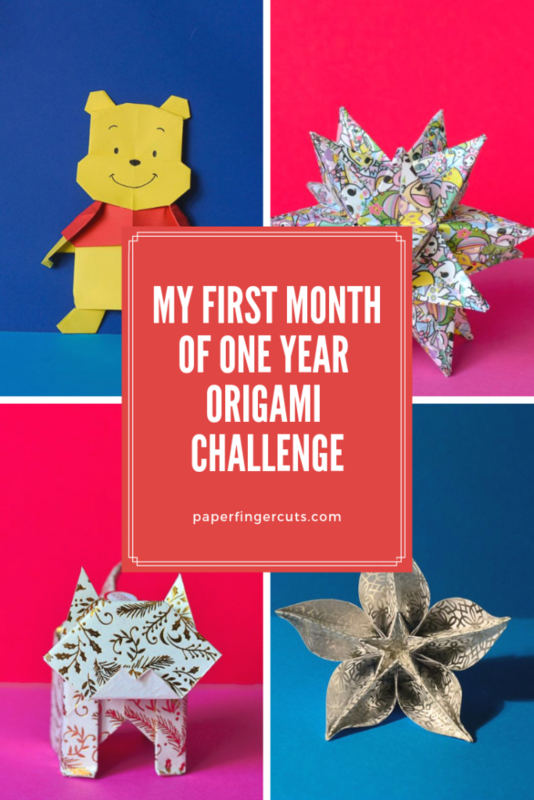 So let’s see what I have folded in this One Year Origami Challenge : January. 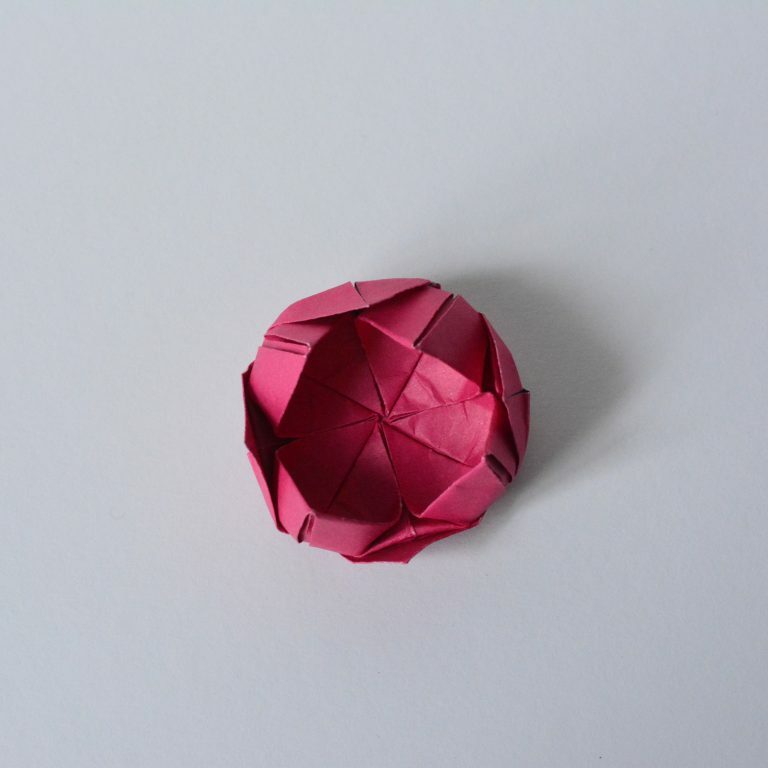 Day 1 of 365 Origami Firework designed by Yami Yamauchi and folded by me. 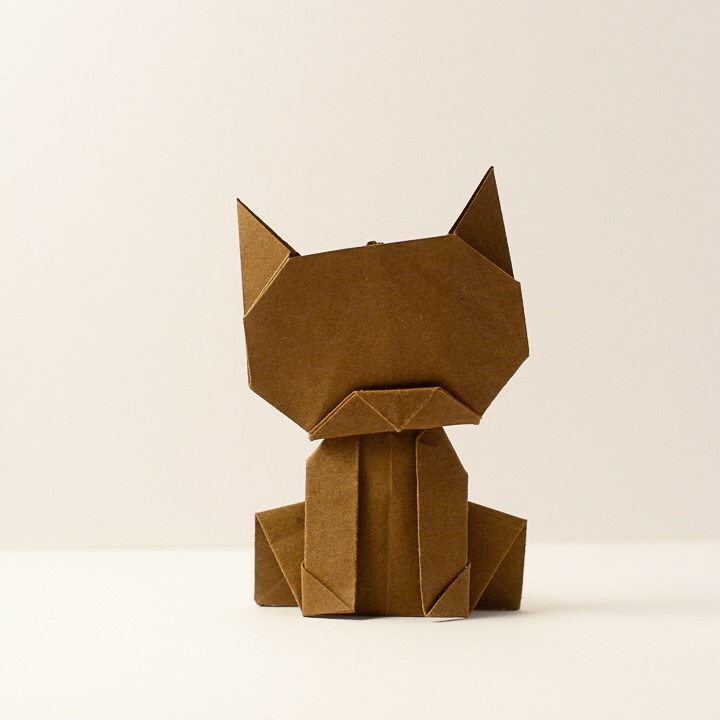 Day 2 of 365 Cat Box Designed by Leyla Torres and folded by me. 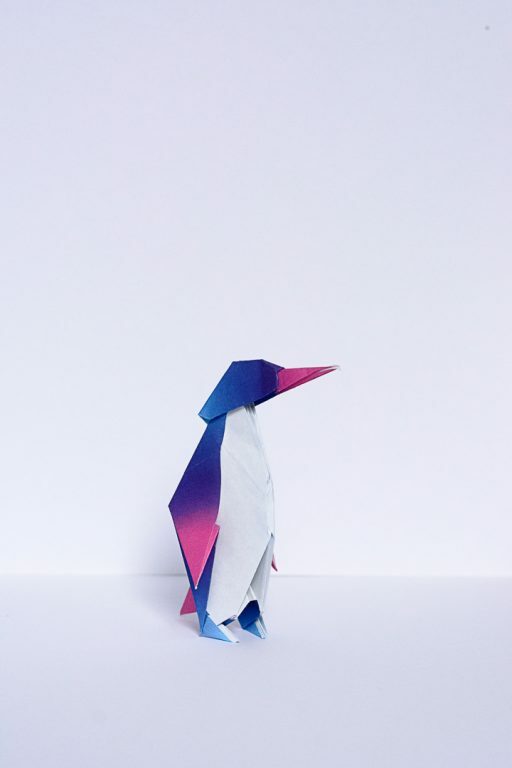 I used Rainbow Colors paper by Tuttle Publishing. The paper is double sided, and I folded on the “wrong side”. I wanted the shark to be blue and not green..but I like how clean the design is. 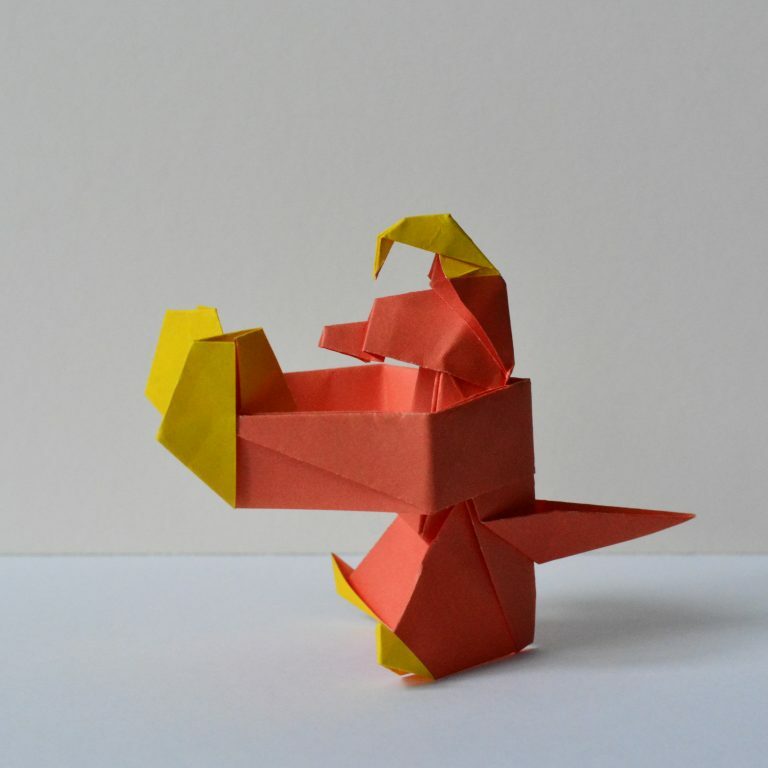 Do you want to take part of this origami challenge as well? 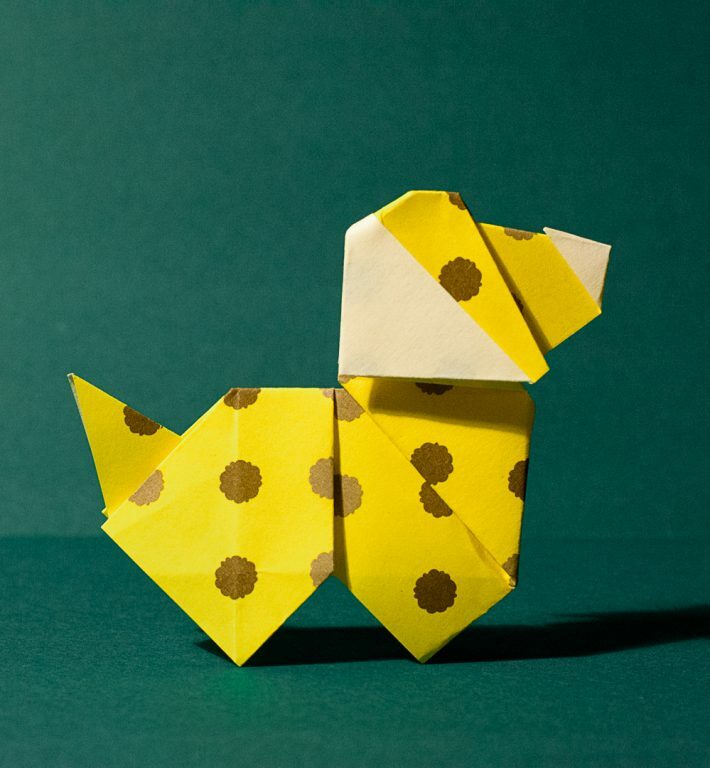 I had a lot of fun and folded lots of new models. 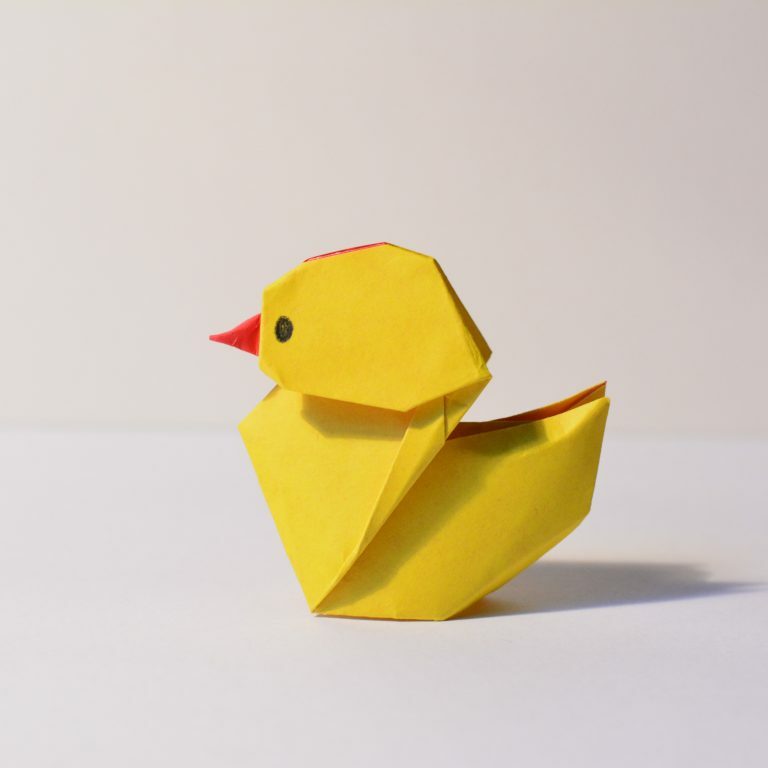 It was also bird day, so I just had to fold a bird. 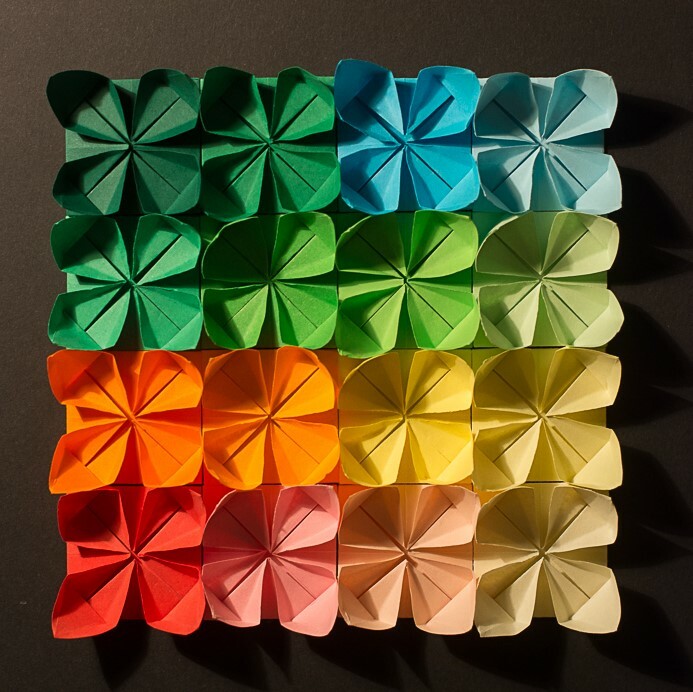 The paper I used is Rainbow Colors paper by Tuttle Publishing. I think this paper it photographs really well. 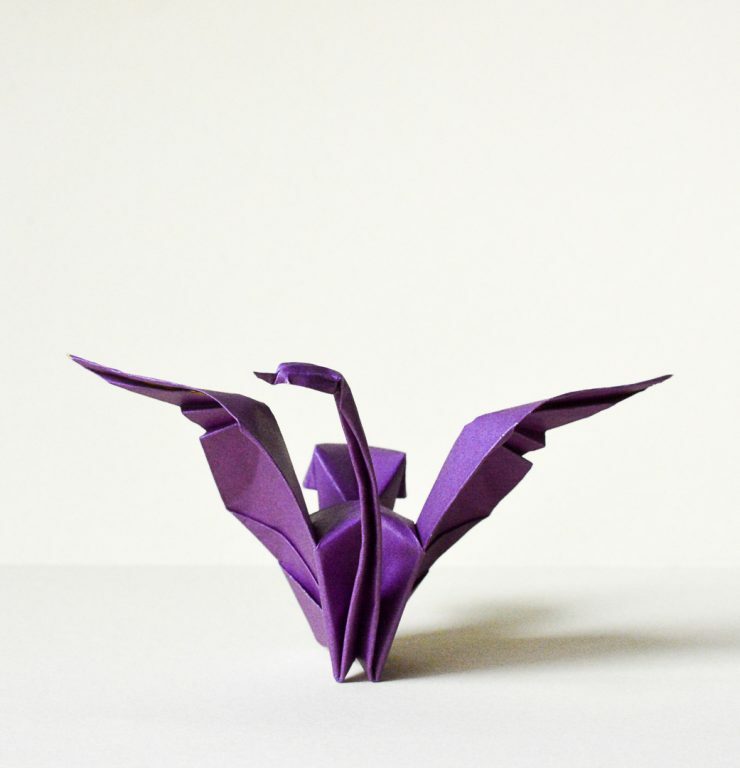 I love folding cranes. 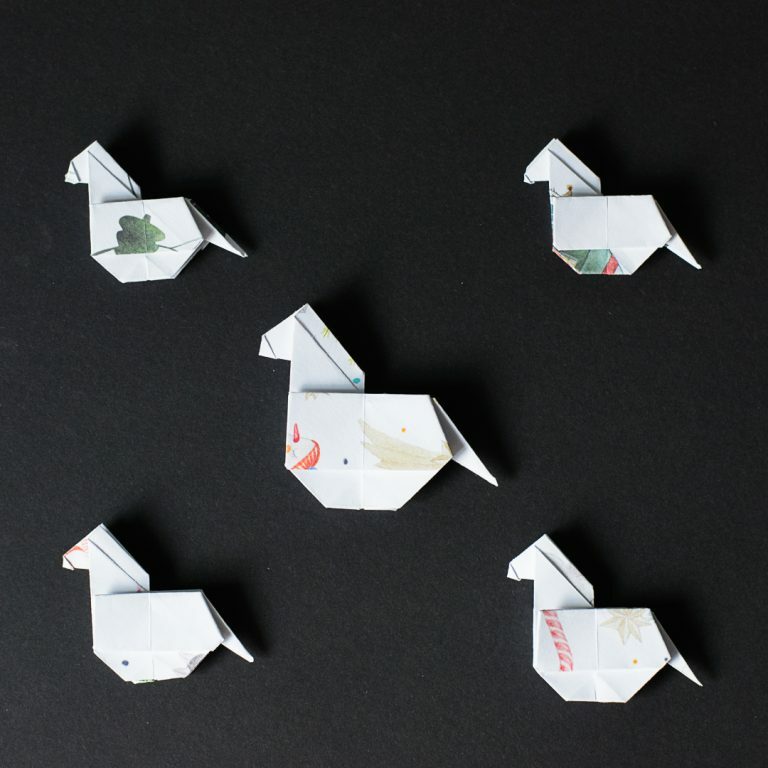 You can read about my wedding story and how to use origami paper cranes as a wedding backdrop here. It was also Apple Tree Day and as you will see I love to get ideas from fun holidays like this. 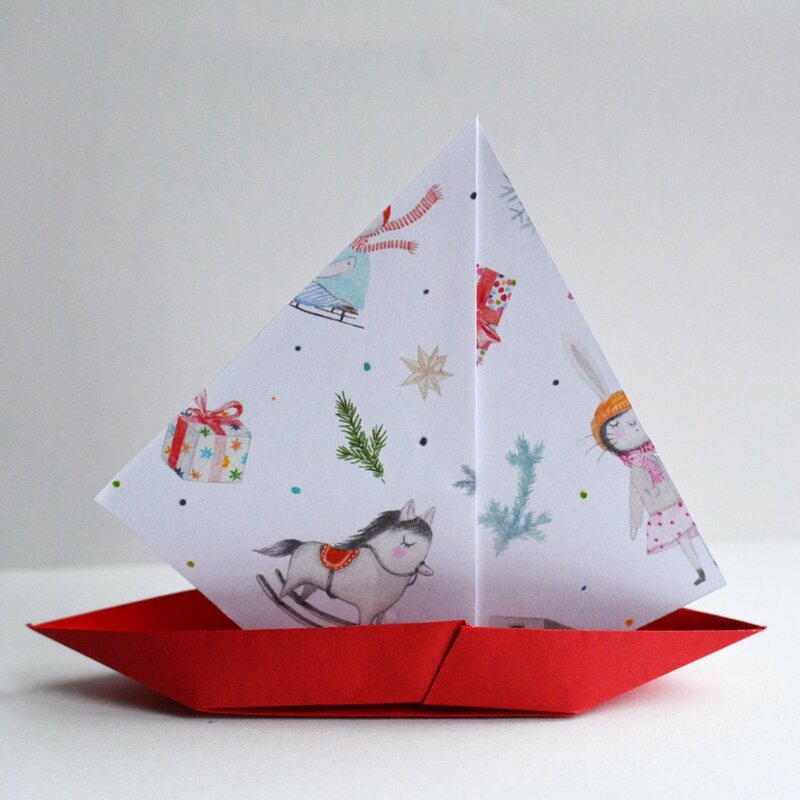 The paper I used is from Tuttle Publishing, the rainbow paper pack. 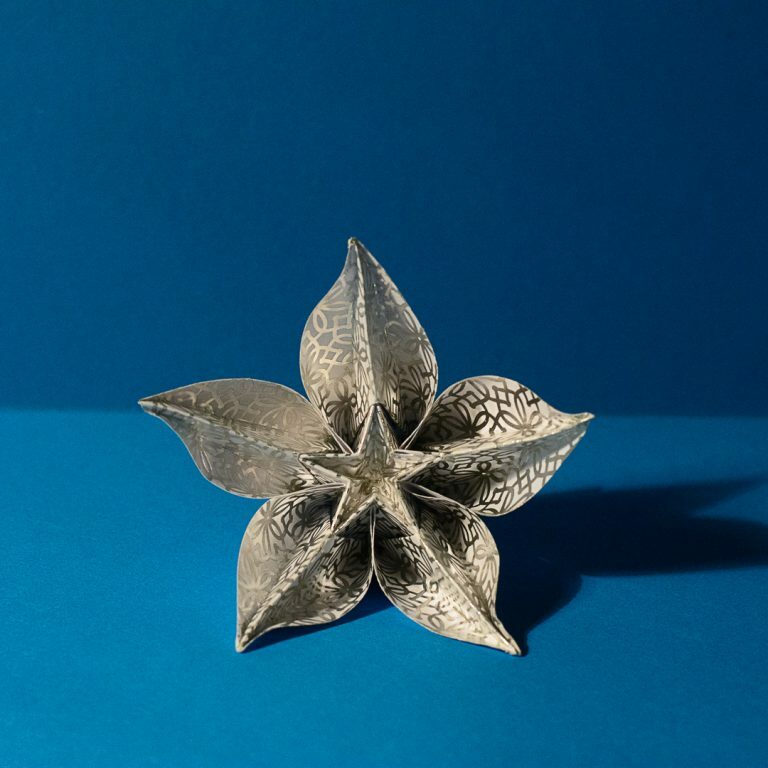 The paper I use is from a Crelando 3d Star set. 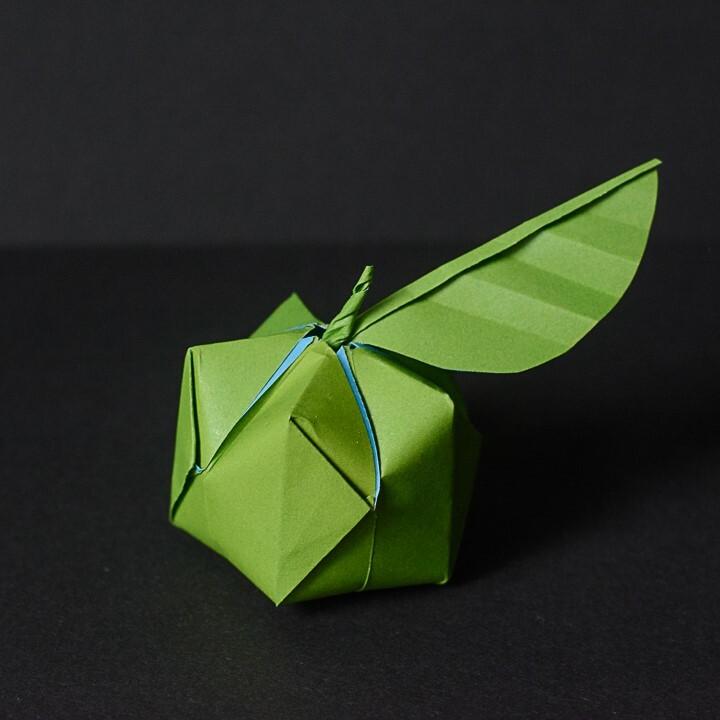 This one was indeed an origami challenge. 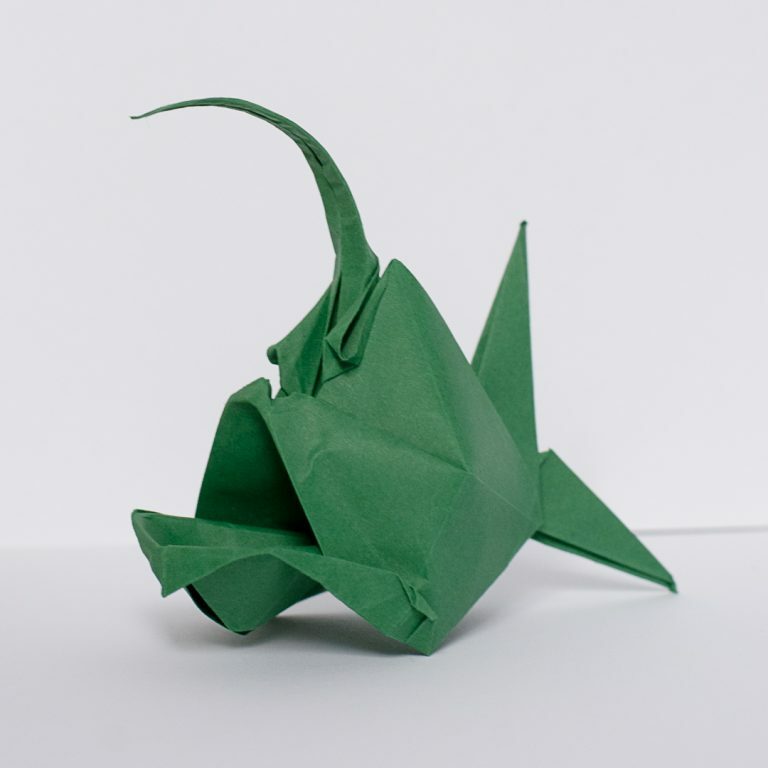 I first choose the wrong paper, and the paper broke and the shape was not good at all. I learned from my mistake and for the second attempt I choose a better paper that turned out great. 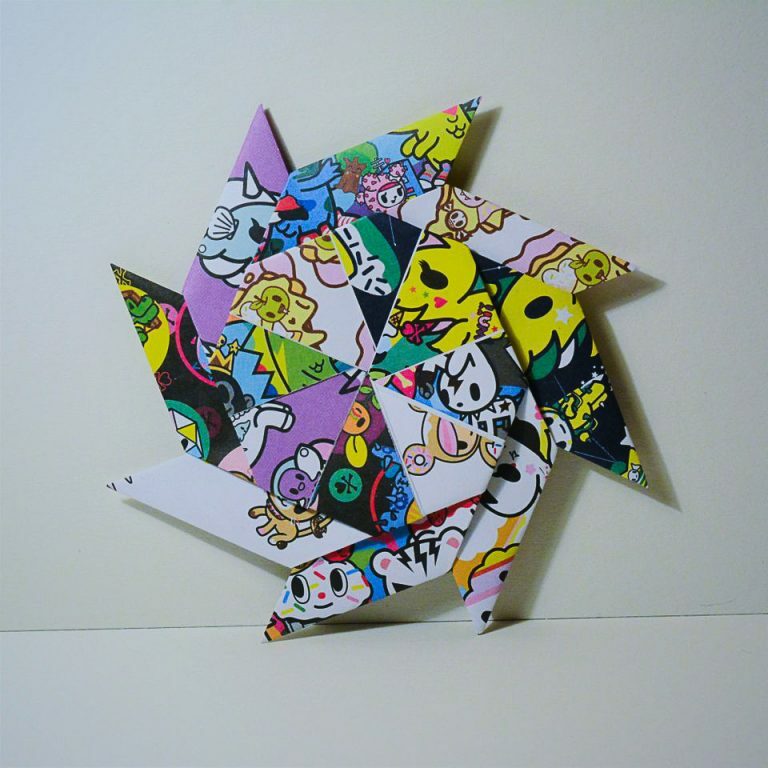 The paper I used is Alex Toys craft origami paper. The dinosaur set. The paper I used from a set I found at DM store. 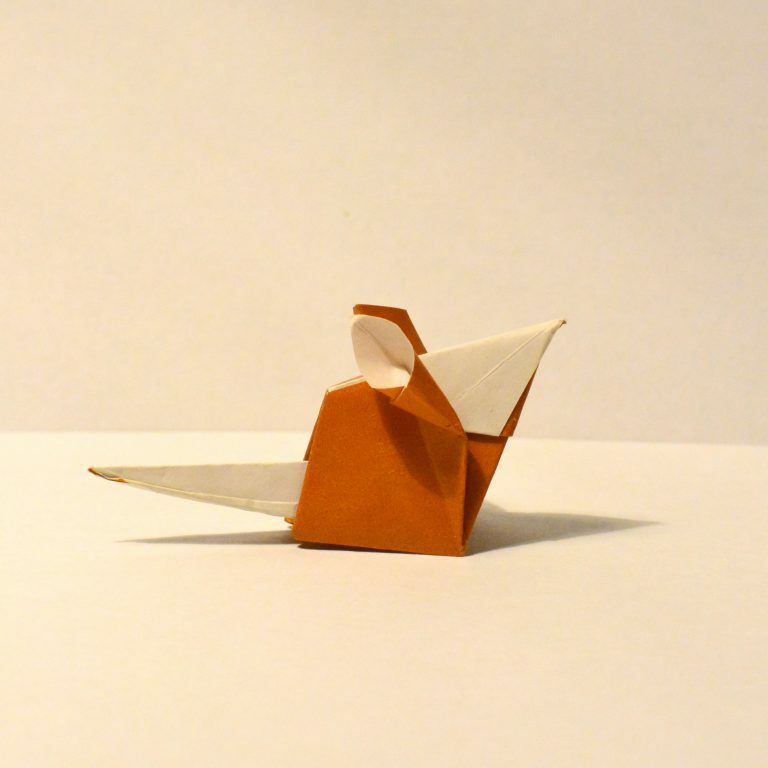 This became one of my favorite mouse design I ever folded, and maybe even from what I saw. I love how simple, yet so suggestive this one is. and those years, look at them, so cute. A traditional model, yet a powerful one. 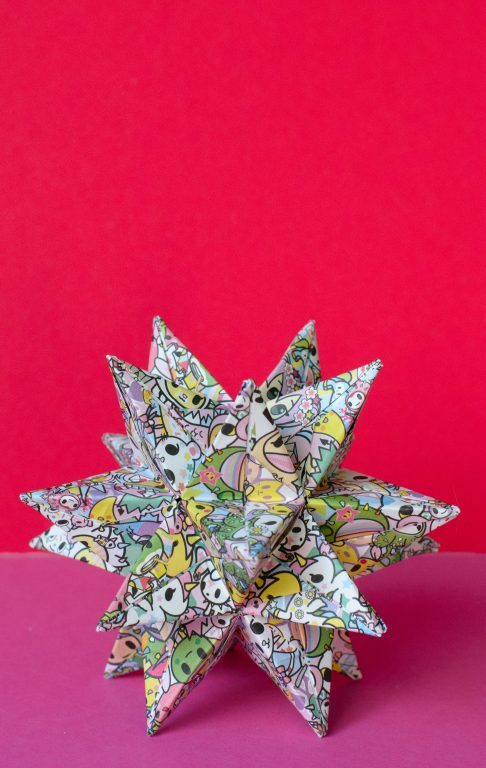 I always enjoy folding it. It’s easy and looks great. This is an action model, so if you pull the tail the monkey will play with his cymbals and make an imaginary sound. It’s a great model for kids, as they can play with it afterwards. 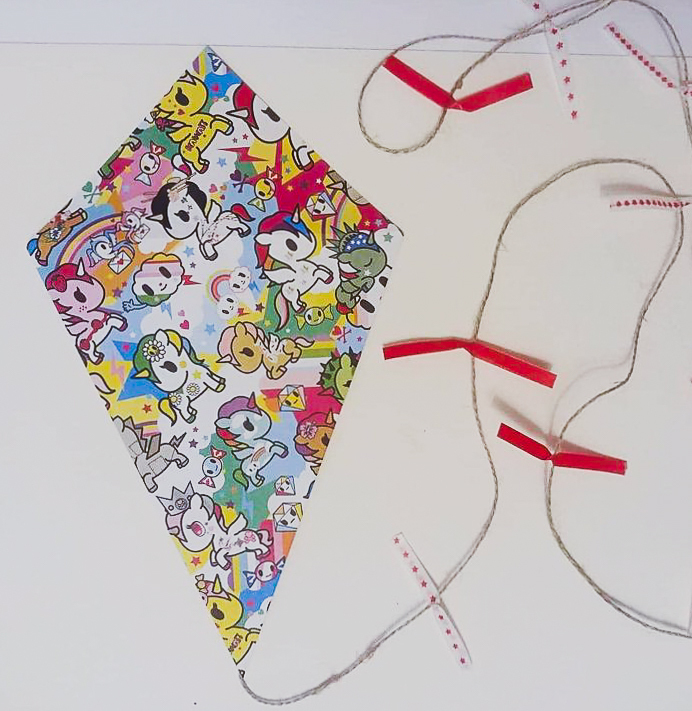 Day 14 of 365 A Simple Kite to Celebrate Kite Day. 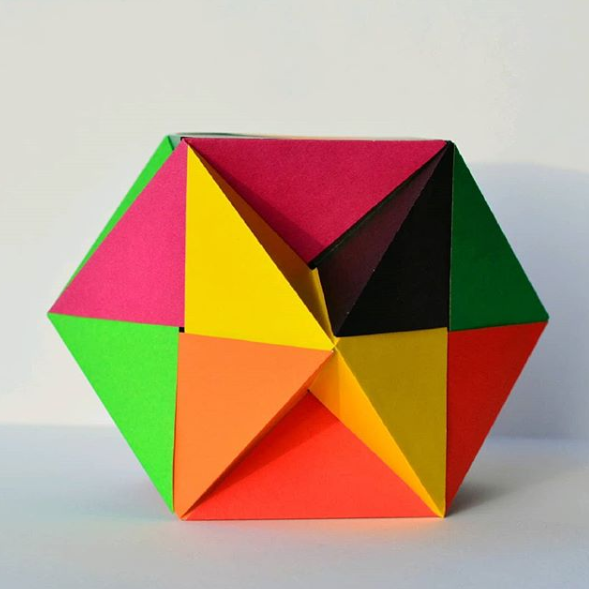 There are 20 cubes in total, and some cubes are with 2 “inside” corners and some with 3. I did not glue the modules so I could just make the corners on the go where I saw they have to be. The cubes themselves are glued one to another. I started with a base of 5 and then continuing adding the cubes so there will always be 5 in a circle no matter how you look at it. For the next 5 I had 4 normal ones and 1 with two corners inside. And so on. 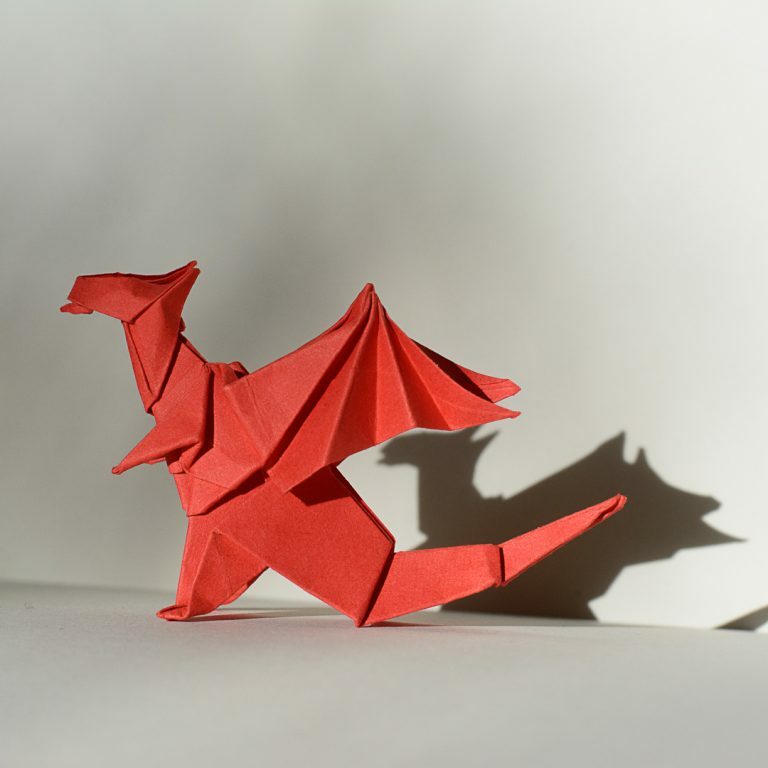 It was also Appreciate A Dragon Day so it was a great occasion to fold one. 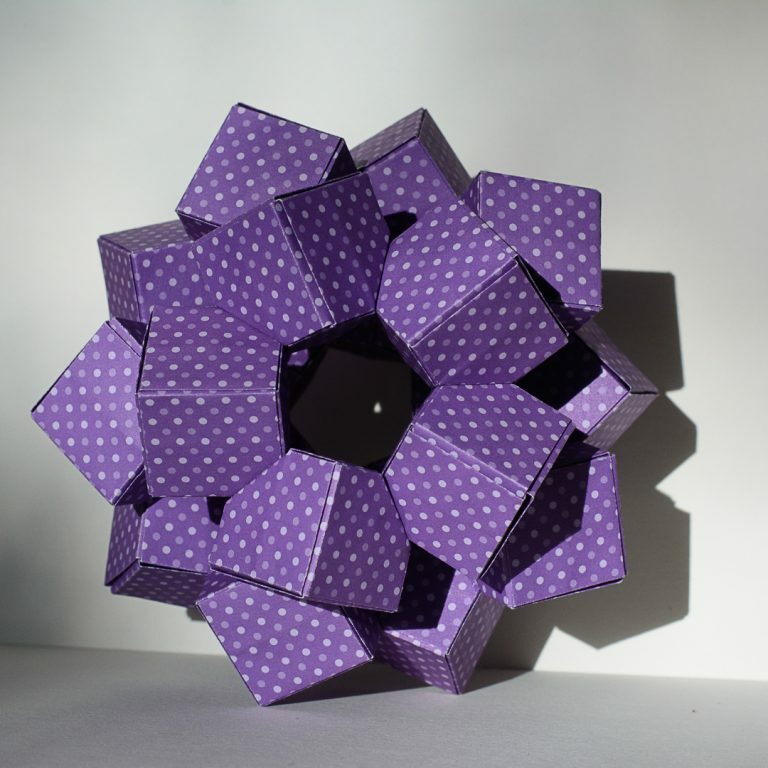 This model is not so complicated, and has a lot of details in it. 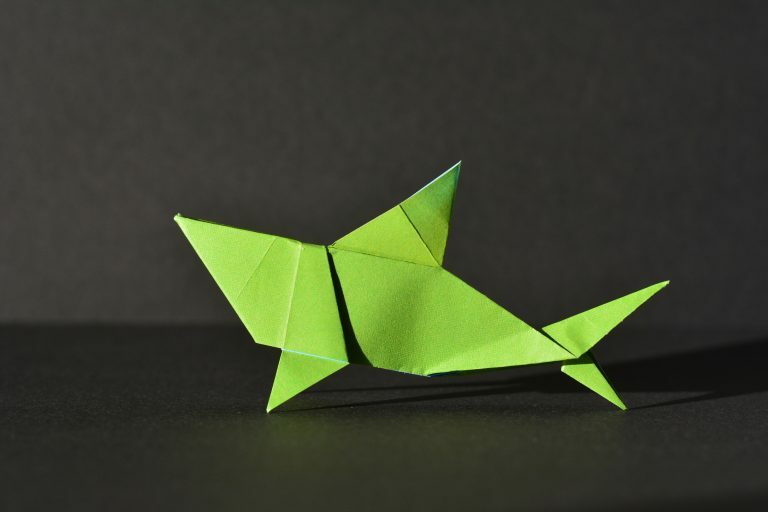 Jo Nakashima makes some amazing video tutorials so it will make the folding as easy as possible. The end result is a great one, and the shadow look really good as well. I so sorry about the light in this photo. 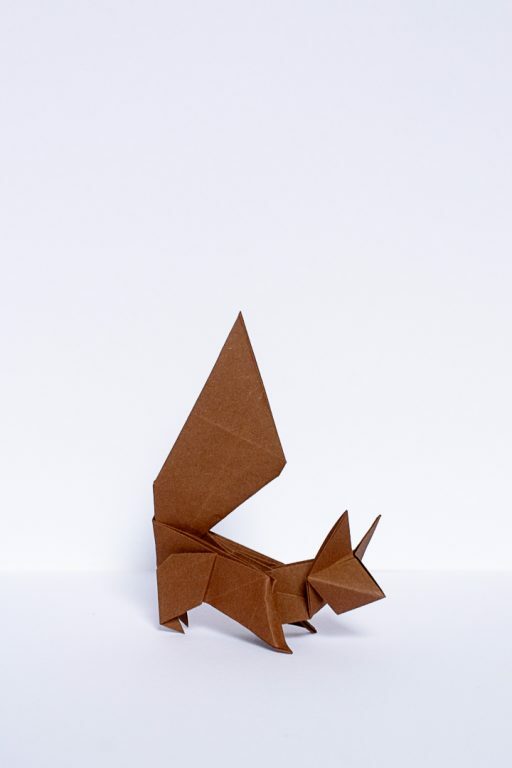 I love the paper and the origami model, but I feel like I did not make it justice because of the photo. 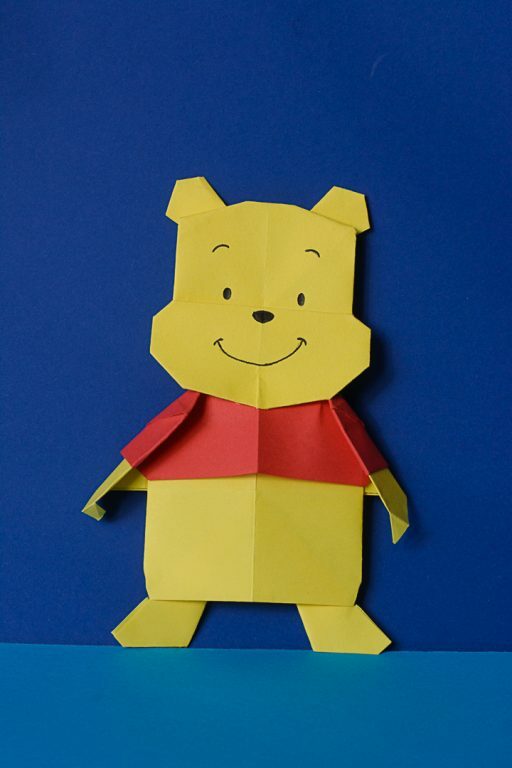 It also was Winnie the Pooh Day. It was also Penguin Awareness Day. I saw this on Pinterest and I knew I want to do it as well. I don’t know how the models are called or by who are invented. They are the base for some models. 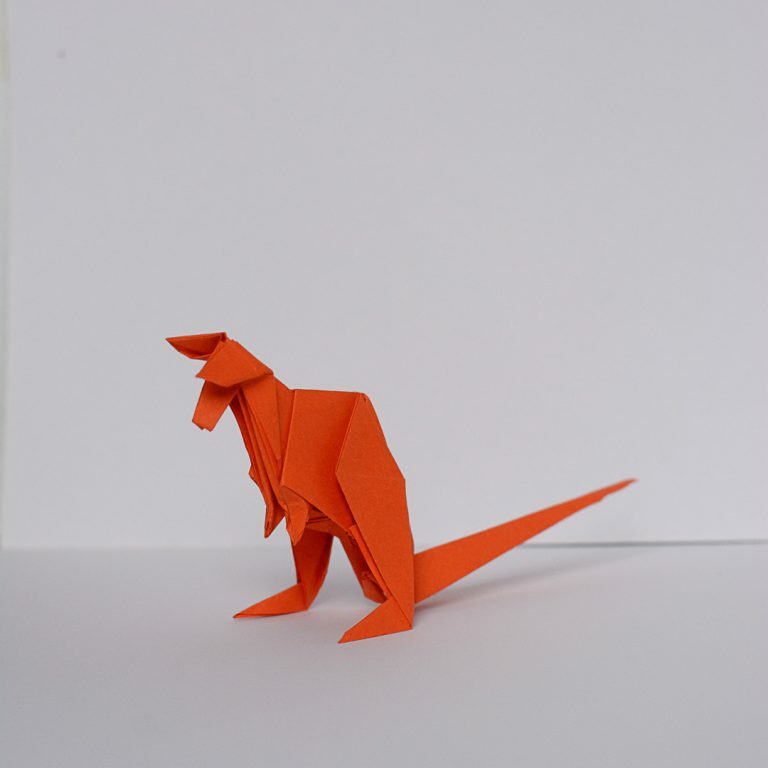 For Australia day I knew I would like to fold a kangaroo or a koala. So that's it. 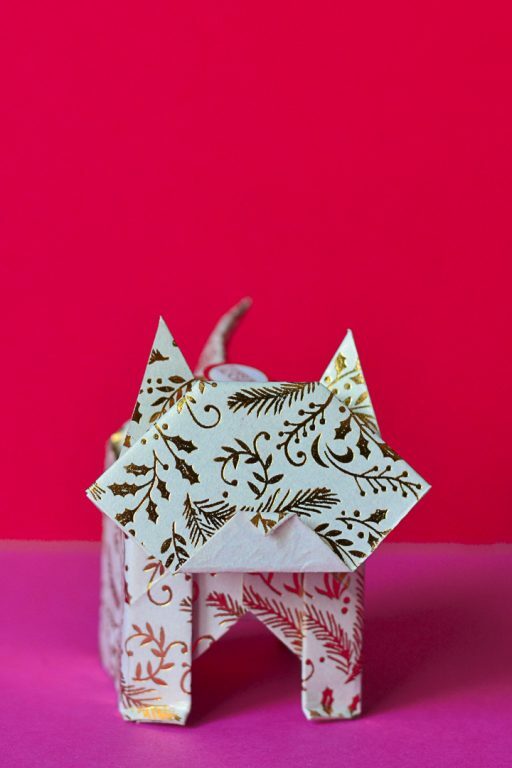 My fist month of 365 day origami challenge it's done. And this is it. 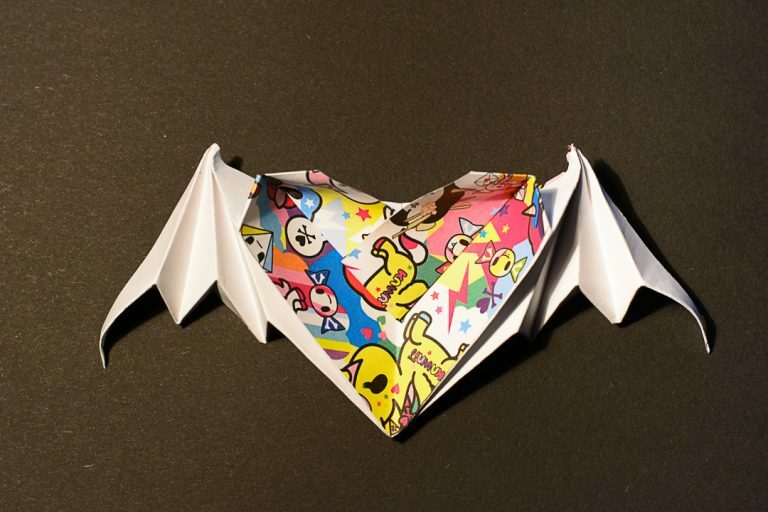 Most of the paper that I used and will be using are from Crelando sets (bought from LIDL), Tokidoki origami paper, Rainbow Colors paper by Tuttle Publishing, Alex Brands origami paper , and some color printer paper and also some paper that I don’t remember the brand. I still have a long way to go in order to finish this challenge, but I think I had a really good start. 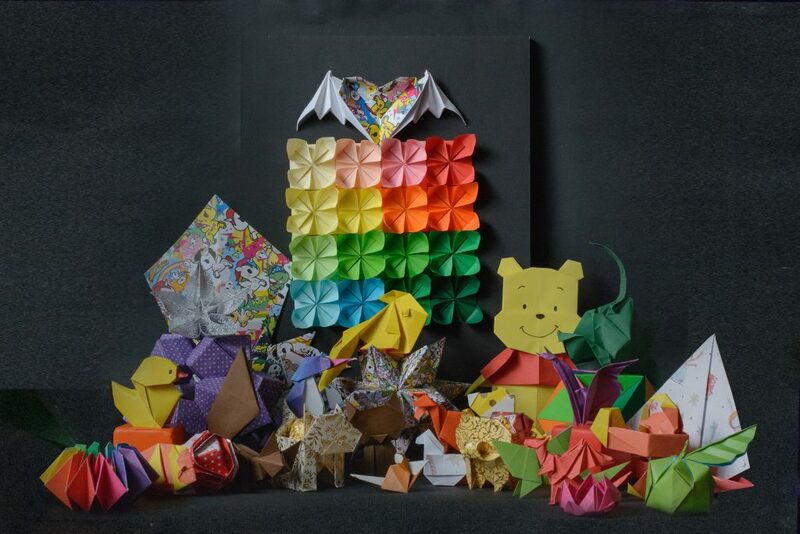 And I had a lot of fun folding the models for the origami challenge. See how I did on my second month here.